Not every match is made at the marriage mart . 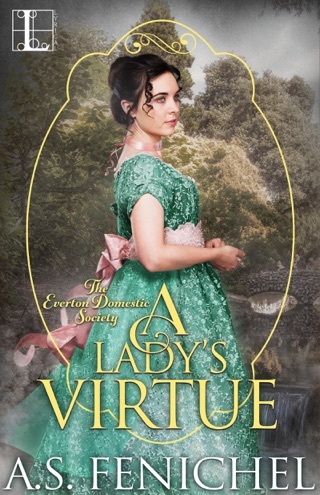 . .
Lady Phoebe Hallsmith has chosen to work at The Everton Domestic Society verses marriage to a man who doesn’t love her, she is disowned by her family. She enjoys helping people and finds pleasure in a job well done. She takes her position very seriously and follows the rules to the T! Markus Flammel, the viscount of Devonrose is devastated by the death of his wife Emma after giving birth to their beautiful daughter Elizabeth. For two years his life has spiraled out of control, his home is in disarray, he has a handful of servants left and he spends most of his days drunk. Worst of all Elizabeth is scared of him. 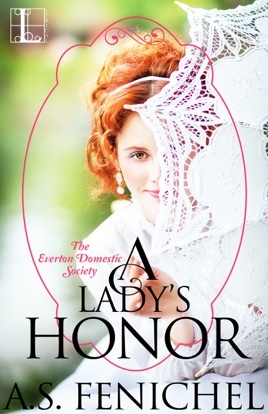 After Markus throws his mother out of his house she contacts The Everton Domestic Society for help. When’s she’s on her way out she runs into Phoebe, who was best friends with Emma. His mother insists that she be the one sent to help get Markus’ house in order. It goes against the rules for Phoebe to be the one but she is compelled to help her friends family. The moment she arrives there is complete chaos through out the house and she is shocked how much the estate has been neglected. Phoebe takes everything in hand and confronts Markus with is drunken behavior and how ashamed he should be. One of the best scenes is when she’s confronting him. She’s strong, direct and shows him just how much he’s fallen and what he’s loosing if things do not change. He demands she leave, but as the days go by and a sense of normalcy settled in the home the attraction between Markus and Phoebe grow. Shame and guilt for their feelings and Emma’s memory stand to drive them apart but trust and the sense of safety just might be stronger. This book is full of emotions, sadness and laughter and the realization that the heart is big enough for more then one great love. 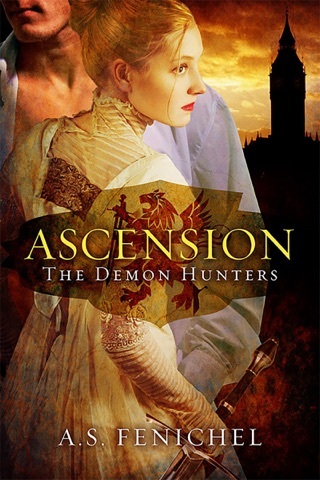 I love stories that are written in the 1800s I know it is fiction but this was such a sweet romance that had its sad, happy and twist and turn moments. So happy that Phoebe found happiest with Markus. To bad life isn’t more like this. Goodness, this was such a sweet and heartwarming romance – and isn’t the cover lovely? While this is the start of a series, it has some ties to some of Ms. Fenichel’s previous series. While it was obvious I was missing some backstory, I think this works fine as a standalone. After caring for her grandmother in Scotland for several years, and then suffering a broken engagement to an absolute jerk, Phoebe breaks with her family and goes into service as an employee of the Everton Domestic Society. While normally it’s against the Society’s rules to work with someone you’re acquainted with, Phoebe makes an exception for Markus, the husband of her late best friend, Emma. In the two years since Emma died giving birth to her daughter, Markus has been mired in an alcohol-fueled fog, neglecting his estate and daughter, and rebuffing any attempts at help from friends or family. Phoebe is twenty-four, and has resigned herself to being on the shelf, though she dreams of a marriage and family. She also has a bit of a temper, a tendency to let her emotions run away with her, and likes to stick her nose in other peoples’ business, but most of all she is strong-willed with a firm moral compass, and through her tenacity starts to get Rosefield, Markus’ estate, back into running order. Through a series of late-night meetings in the kitchen, Markus and Phoebe reminisce about Emma and begin to develop feelings for each other. However, Markus believes he only has rom in his heart for his dead wife, and Phoebe doesn’t want him to marry her out of obligation instead of love, and eventually end up as an unwanted encumbrance. In true romance novel fashion, their relationship helps both Phoebe and Markus heal. 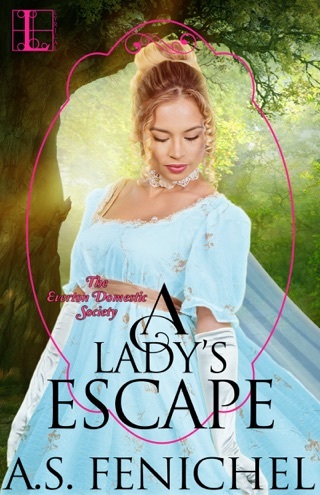 Phoebe feels unwanted and unseen – by society in general, since she’s a spinster, and by her family, since she refused to leave her Grandma to come back for her London season and remains unwed. While joining the Society has given her some agency and allows her to help others, that help comes with a time limit, and she knows that eventually, if she does her job well, they’ll no longer need her and she’ll have to move on. Markus is trying to deal with the ramifications of his two years of anger and neglect, seeking forgiveness for himself from his friends and family, and eventually realizing that he needs to forgive as well. Unlike some second marriage books I’ve read, there’s no doubt that Markus and his first wife were deeply in love, and it was nice to see both he and Phoebe accepting that it’s OK to love more than one person. Also, while I make no bones (heh) about the fact that I love steamy romances, there is something delightful about historical romances where touching bare hands is risqué and chock with sexual tension. One thing I especially liked about their relationship was that Markus accepted that Phoebe was due her own agency (unlike her other suitors). 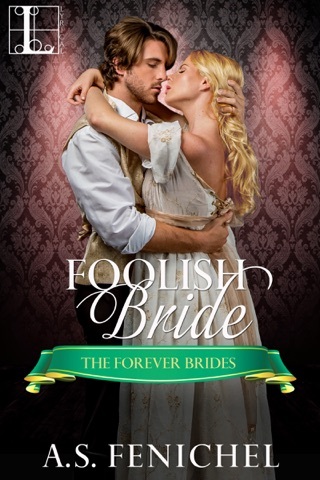 As for cons, things seem to happen rather quickly – from getting Rosefield back in order to Phoebe gaining a trio of suitors – plus Markus’ daughter, Elizabeth, veered into twee territory too much for my liking. Overall, this was a delightfully sweet and charming historical, and I’m very much looking forward to the next book in the series!